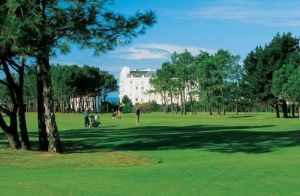 Situated close to the town centre, this venerable course, 1888, was originally built as a links challenge. The land has since encroached and it is now a well maintained parkland lay out. 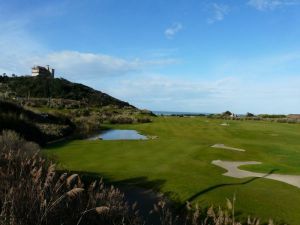 Although short by today’s standards, complacency is never an option – narrow fairways, 70 bunkers and small but fast greens await the unwary. The sea views are stunning but come at a price when the wind blows straight in from the Atlantic. 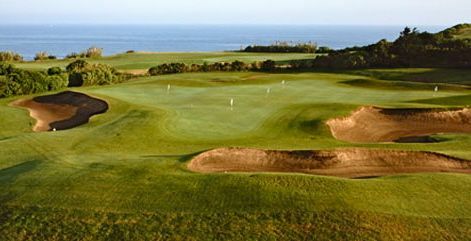 A well-loved course and well worth a visit. 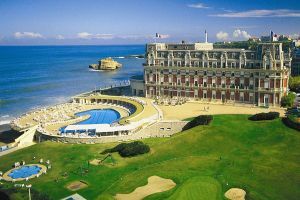 Biarritz-le-Phare is not yet in our pool of Golf Courses for orders.